Surrey Heath Borough Council (SHBC) have announced their intention to Compulsory Purchase and demolish the former Betty Brown tea rooms, currently home to The Old Thai House restaurant as part of a further phase of redevelopment of Camberley Town Centre and the plans have been published. These have been promulgated in the document Preferred Policy TC24: London Road Block Allocation Site. This building, 125 London Road, started life in about 1880 as a pair of Victorian Houses. We believe early in the 20th century they became one building. 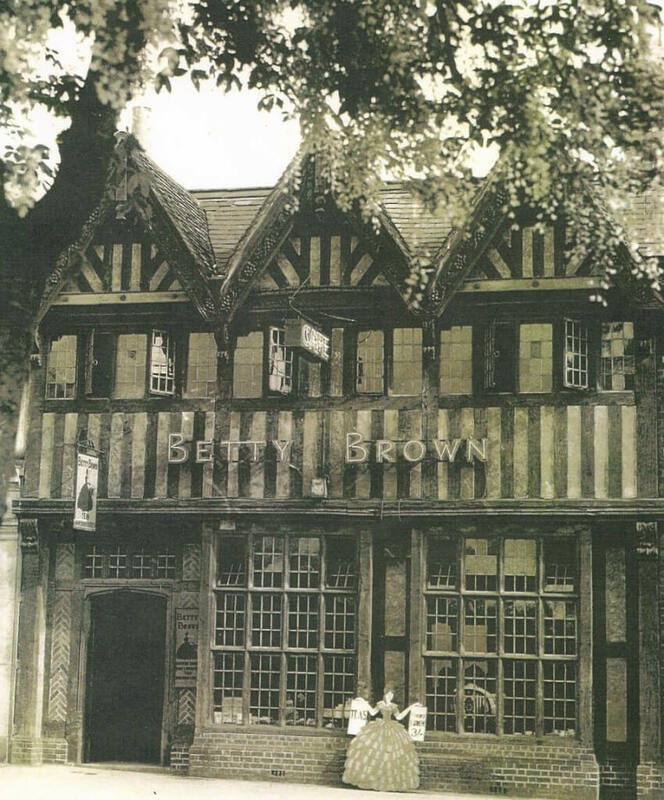 In the 1920s the present mock Tudor frontage was added and the ground floor became known as ‘Betty Brown’, a noted local tea shop with home made delicacies. A local solicitor operated from a suite of rooms on the first floor for many years. It ran in this form for almost 50 years until the 1970s. Indeed some of the older generation in Camberley still refer to the building as ‘Betty Browns’. The building was acquired by the Old Thai House in 1999. We recognised the character of the building and believed we could maintain and even improve on its character. This has been recognised by English Heritage who annually request us to allow the general public access to the property where the Camberley links with Thailand and its Royal Family are displayed and Thai cultural shows and classical dancing are laid on. This is the ONLY property in the whole Camberley down town area which English Heritage recognise as being of sufficient interest and antiquity for the purposes of Heritage Open Days. We find it quite incredible that SHBC want to demolish it. The SHBC document TC24 is reproduced separately at the end of this petition andcontains paragraph 5 which states: “Contribute to the local distinctiveness of Camberley Town Centre in accordance with Policy TC19. Any redevelopment should seek to retain nos. 2-12 (evens) High Street and 123/125 London Road. In the event that these properties cannot be retained, then the design of that part of any redevelopment within the High Street Character Area should not prejudice the Victorian and Edwardian integrity of the High Street in accordance with Policy TC20.” (nb the highlighting and underlining have been added). We take no comfort from this statement. If SHBC wished to retain these buildings why not state the fact up-front ? Accordingly, we have decided that in order to ‘SAVE BETTY BROWN’ we are raising a petition to present to the relevant department of SHBC. You can sign our petition below or popping into our restaurant to sign our petition in person. Your details here will not be shared with anyone, and we will only occasionally send an email regarding the petition.